Macalester College has been treating a 400,000 gallon competition pool with PoolMoss® Pro since June 2010. They were one of the first commercial facilities to adopt The Moss™ and enjoy the benefits of water treatment, the way nature intended! By: Steve Chewning – Vice President of Field Operations – Southeastern Laboratories, Inc.
A major medical facility in the Southeast US recently implemented a ProMossTM trial on their 1,300-ton HVAC cooling tower system. The system had been operating under a conventional chemical treatment program utilizing an inhibitor product and two micro biocides. Conditions at the start of the trial are summarized below. The system had higher than expected bacteria levels with correspondingly high ATP values. Water clarity was poor and there were significant iron and copper levels present indicative of active corrosion occurring in the system. Pool opening came late this year due to our non-existent spring and never ending winter. When I pushed the button to roll up the pool cover I anticipated that the WinterMoss™ and three previous years of PoolMossâ Pro would result in a clean, slightly cloudy body of water. I wasn’t disappointed. As you can see from the picture, the water just needs some filtration to return to the crystal clear pristine pool water we enjoy all summer long. The guys from Poolside (one of our fine dealers in the Minneapolis-St. Paul area) arrived and got the system running. They removed the filters from the bottom of the pool and started filtration. I store the filters in the pool water so they won’t dry out and allow the organic contamination that accumulates on the filter paper to dry into a solid, impenetrable microscopic obstacle to proper filtration. This is the fourth year for these filters and they perform very well. Mark Schreiber, P.E. joined the Creative Water Solutions’ team as Senior Sales Engineer. Mark is a graduate of the US Naval Academy where he received his BS in Mechanical Engineering. He then served as a submarine officer followed by education in nuclear engineering and a job as Senior Nuclear Test Engineer for FirstEnergy Corporation. He has extensive experience in management of a branch office for two industrial design/architectural firms. He also has extensive experience and knowledge in the automobile industry. I met Mark when he called to discuss using ProMoss™ at an auto maker plant in Ohio where he was the energy conservation engineer. We worked together to treat a large cooling and holding pond that had been on chemicals. That project was very successful and has resulted in other applications for ProMoss™ at that plant and potentially other auto maker plants. During one of my visits I told Mark we were considering hiring an engineer to help us design and manage industrial systems using The Moss™. Mark said he had a candidate. He reached into his desk, took his card and gave it to me. His primary focus will be to assist large companies in formulating applications and serving as an ongoing resource in specific sectors of the market. He will also work with our dealer organization to transfer the expertise and knowledge he learns to other accounts that they currently serve or intend to pursue. 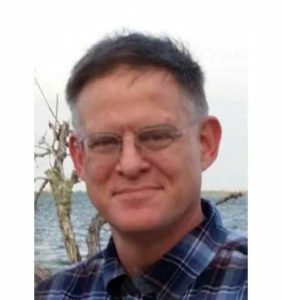 Mark will work from his home in Ohio and manage the growing auto industry market and spearhead entrance into the military, power plants and special projects with our water treatment systems. Mark and his family live on a farm, have horses, sheep, cats and dogs. His two daughters are artists and horse lovers. In fact, Mark sent me a prototype he and his daughters designed to deliver ProMoss™ to horse watering systems. I recently had the opportunity to attend the “Managing Legionella in Building Water Systems” conference, which was held from May 9th – 11th in Baltimore, MD. The conference was organized by NSF International and the National Science Foundation, with the goal being “to raise awareness and encourage positive, coordinated actions to combat legionellosis”. The conference was filled to capacity with stakeholders from all aspects of water treatment and water safety. There were numerous presentations from the U.S. Environmental Protection Agency (EPA), the Centers for Disease Control (CDC), as well as numerous academic institutions, state health agencies, and engineering firms. In an effort to standardize cooling tower parameters while on ProMoss™, I asked two of our dealers; Steve Chewning from South Eastern Labs in North Carolina and Mike Bromley from WaterWise of America in Rochester, NY, to help put together guidelines and control parameters for our most often treated industrial water application – cooling towers. Like all attempts to create uniformity in treatment, it is important to use the guidelines as a map to success and not as divinely inspired laws that must be strictly applied. I welcome further input from our dealers to add to or modify this document so we can keep it informative and timely. Click here to read the full guideline. Now is the time that your customers are anticipating opening their outdoor pool facilities and getting their pools and spas ready for the summer. Starting out the season with clean filters will help them have the best quality water throughout the pool and spa season. The use of Breakaway® Flush to clean sand filters can rid the filters of organic contamination that has accumulated during the previous season and over the winter months. Accumulated organic contamination in sand filters degrades filter performance and can significantly reduce water quality. Breakaway® Flush treatment at start-up will make start-up easier, help stabilize water chemistry and provide superior water quality and clarity. Don’t overlook the sell-ability of using The Moss™ to reduce the number and types of chemicals being used and stored on site. From an HR or safety perspective, one chemical related incident, be it a spill, inadvertent mixing, or exposure to employees or others is disruptive at least, and hazardous to health and safety and expensive at worst. If a few kilograms of The Moss™ per month can serve up the same results as the 55 gallon drums, why not use it instead? Hypochlorous acid “salt” generators and PoolMoss® were made for each other. Depending on the chemical composition of the local water, a lot of scale can accumulate between the plates, requiring acid washing or costly replacement.